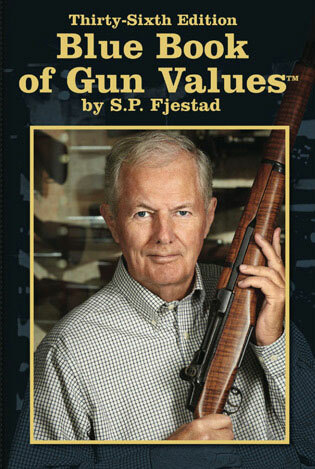 The new 36th edition of the Blue Book of Gun Values has just been released, and is now available through Amazon.com. The Blue Book of Gun Values by S.P. Fjestad is the leading gun valuation resource. Remarkably there are now 1.6 million copies in circulation worldwide. This new edition contains updated values for countless firearm types. New-for-2015 makes and models have also been included, along with updated values on discontinued and antique firearms. You can purchase the 36th Edition of the Blue Book in CD-ROM format. Moreover, all the data in the 36th Edition is now available via Mobile App, or a paid web subscription. To subscribe, get the App, or buy the CD-Rom, visit Bluebookofgunvalues.com. · Double action revolvers from both Colt AND Smith & Wesson have fluctuated significantly. · 2,512 Pages of content covering nearly 1,500 manufacturers and trademarks, almost 20,000 gun model descriptions, and over 175,000 prices. Share the post "New Edition of Blue Book of Gun Values Released"